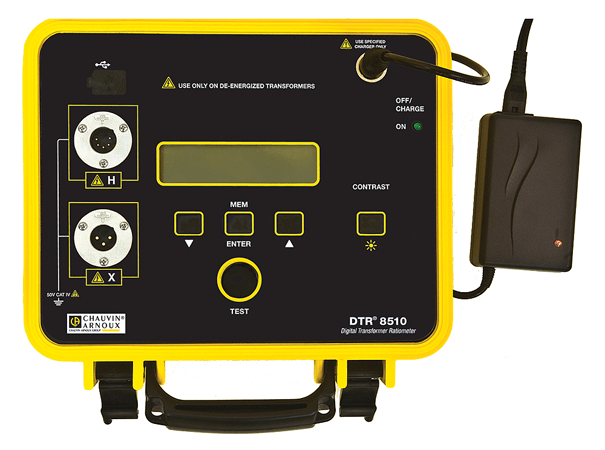 The DTR 8510 is a portable digital ratiometer for testing power, voltage and current transformers. When connected to an uncoupled transformer, the DTR 8510 accurately measures the primary-to-secondary transformation ratio, while also indicating the polarity and excitation current. 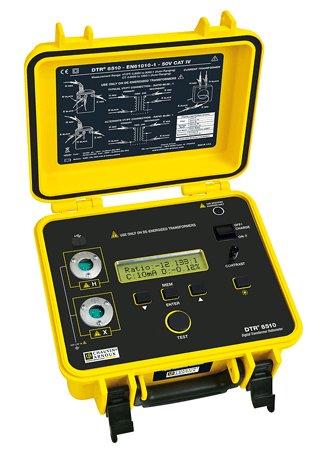 The DTR 8510 is totally automatic and uses a test method which complies with the ANSI/IEEE standard. Users are not required to perform any calibration or balancing. Open circuits, windings, connections and cut-off circuits. Short-circuits (excessive value of excitation current). Incorrect connection of the test cables. The measurements are displayed quickly and accurately.